So bad, yet oh-so-hilarious - say hello to hundreds of feline train wrecks. 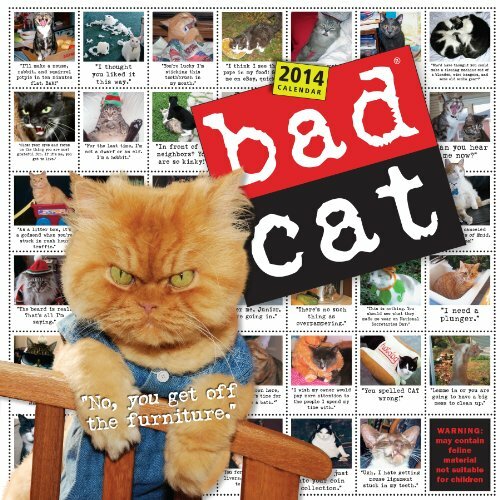 Adapted from the bestselling book Bad Cat, this calendar features cats hiding in bags, cats defiling houseplants, cats tricking the family dog, sluggish cats, out-of-control cats, surly cats, cats who have let themselves go (and don't give a damn). 'Cute' isn t part of these kitties' vocabulary.